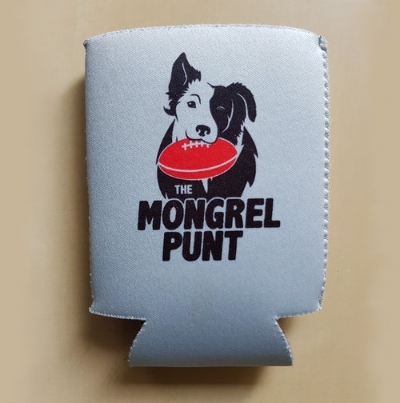 The "Ifs", "Buts" and Other Stuff - Melbourne — The Mongrel Punt Become a Patron! So the old Mongrel is going to show his age here, yet again. Are you familiar with Kenny Rogers? You know, the bloke who looks like he is made of leather, and turned a successful music career into a successful chicken roasting chain which appeared in a Seinfeld episode? That guy. Well, his most famous exploit is singing a song called ‘The Gambler’, and as we head into the 2019 season, that’s where I reckon the Melbourne Football Club finds themselves. If fortune favours the brave, then Melbourne deserve to be rewarded. They’ve taken the gamble in a couple of ways, which we’ll get into shortly, and that’s how you either get ahead, or fall back to the pack. Do the Dees know when to hold them? Do they know when to fold them? After making the finals for the first time in 12 years in 2018, Demon supporters would be hoping that the club’s gamble will be paying off in a big way in 2019. The Premiership window is open, even if it is precariously propped up. Let’s explore how they could open it right up, or slam it shut with some “ifs” and “buts”. Melbourne were in possession of a rare commodity – a big forward who could kick goals, but as of 2019, Jesse Hogan is wearing purple on the other side of the country. Without him, they made a real fist of the latter stages of the season, and produced two finals wins. It gave the impression that the Dees probably didn’t need that big forward to be successful – and you know what? They’re right. They don’t need him. They have another one – a better one. As long as Tom McDonald is healthy, anyway. Between them, McDonald and Hogan kicked 100 goals last season. It’s an achievement bettered only by Richmond (Riewoldt-Caddy combined for 116) and Hawthorn (Gunston-Breust went for 105 combined), but with one half of that combination gone, the Dees will be leaning heavily on Tom McDonald. So, what’s the gamble? Maybe McDonald needed the room to operate up forward, right? Well, without Hogan in the side, McDonald averaged 2.2 goals per game. With Hogan in the team, he averaged 2.8. Uh-oh… that’s a decent gamble. Maybe the Dees are banking on Christian Petracca becoming more of a force up forward? He’d need to do a lot better than his 19-goal return in 2018 (-5 on 2017) to make up for the absence of Hogan. The Demons are in a precarious position. They are oozing talent all over the field, and their abundance of this talent up forward made Jesse Hogan expendable. It landed them Steven May in defence once the smoke cleared, but the jury is out, and will be examining the early returns very closely before deciding whether or not Melbourne’s gamble to offload Hogan was a good bet or not. Personally, I like it, and want them to succeed. I like a team that shows some balls and goes for it. For too long the Dees have been a non-factor, and until they ran into a West Coast Buzz Saw in the Preliminary Final, they were once again relevant. If Tom McDonald stays healthy, and takes another step forward in front of goal, we may well be celebrating the courageous decision by the Demon hierarchy come the end of September. … Max Gawn adapts, the competition is in trouble. So, I’ve written a bit about the ruck rules changing, allowing the big men to take the ball cleanly from the stoppage without fear of being immediately pinged for holding the ball if they fail to dispose of it could be a huge factor in 2019. Max Gawn really didn’t do much of this in 2018, preferring to palm the ball down to his army of established mids instead. But will he add extra clearances to his own repertoire now that the rules have changed in his favour? The best players in the game find ways to make the rules work for them. Love him or hate him, Joel Selwood does it all the time, and Max Gawn is now in a position where his ruck dominance may start translating into individual clearance dominance as well. Surprisingly, despite his ability to feed teammates, Gawn didn’t get many clearances himself in 2018. He was equal-eighth at Melbourne on average, with just 2.6 per game, but if he decides that he can start plucking the ball out of ruck contests (especially if a team isn’t wise enough to rotate two rucks against him) and clearing it himself, we may see a sharp rise in those numbers. It was one of the areas Brodie Grundy had Gawn’s number last season (Grundy averaged 5.3 clearances per contest). Gawn’s ability to get first hands on a ruck contest is unequalled in AFL history. His 1119 hit outs in 2018 is the highest ever recorded, beating Todd Goldstein’s 2015 effort by 61 taps. With the rules changing to almost prompt Big Max to take possession, there is no reason to think he may not adapt accordingly, and start exerting his influence in an entirely different manner. Picture it – a big man leading the game in hit outs and clearances… give him the Brownlow now. … Angus Brayshaw was flying under the radar, he ain’t anymore. You think the AFL might issue him an invite to the Brownlow this season? In a midfield full of stars, Angus Brayshaw provided the surprise packet for the Demons in 2018. Taken at number three in the 2014 draft, Brayshaw’s ascension shouldn’t be a shock – people knew he could play, and his position in draft reflects it, but the jump he made from year three to year four was huge. Brayshaw was +7.09 in disposals, stepping to the fore to become one of Gawn’s favourite targets at stoppages in the absence of Jack Viney. He was +2.87 in clearances, and +5.02 in contested possessions per game, making the leap into the upper echelon of AFL midfielders. It’s as substantial a jump in production as we’ve seen in recent history. Brayshaw’s ability to hit the ball at pace, collect and release without having an attack of the fumbles striking enabled the Demons to attack quickly, and attack often. And at just 23 years old, there is plenty of improvement to come. Another pre-season, will see a bigger, fitter, stronger Brayshaw ready to capitalise on the ruck dominance of Gawn once again, but his efforts aren’t all on the offensive side. His tackling average was +2.1 per game in 2018 as well, indicating that he is a player who will do the dirty stuff and bottle the ball up when he can’t win it. With a fit Viney, and the ball-magnet Oliver in at centre bounces with Brayshaw and Gawn, the Demons boast a midfield that can match it with, and beat any combination in the game. If Brayshaw improves on his 2018 effort, Melbourne may have a situation where he and Gawn are battling it out for Brownlow votes. The Dees are jam-packed with on-ball talent, and from the outside looking in, have players who don’t need to be fed the ball – they go and get it. The more I think about it, the more imposing they are. … Clayton Oliver has another season like 2018, does he move into the top ten players in the game? So we bounce from one quality mid to another. It seems to be the way of things at Melbourne currently. Oliver’s All-Australian selection was reward for hard work. Criticised at times for having poor disposal, I’m a believer that it is due to the nature of his disposals that causes the low % in efficiency. The bloke just puts his head down, gets the hard ball, and gets it the hell out of there. Deceptively strong, in just his third year in the game, Oliver topped the 29-disposal per game mark, and increased his contested possessions from 15.64 to 16.20 per game. Now that all sounds great, right. Let me add this. Yep, he’s racking up veteran midfielder numbers at 21. Here’s some context – in his third year in the game, Tom Mitchell was averaging 27 touches per game, with 10.16 contested possessions. Patrick Cripps was averaging 26.95 possessions with 16.86 contested touches. What a shame contested touches weren’t kept when Diesel Williams was starting out – it would’ve been very interesting to see how Oliver stacked up there. As it stands, Diesel was at 28.75 possessions per game in year three but had been a touch over 30 the year before. So Oliver is on the path to greatness, currently. I guess the question is – how far can he go? Will he be the player to take winning the contested ball to new heights? In 2018, he became just the third player to ever record over 400 contested disposals in a season (Patrick Dangerfield has done it twice, and Josh Kennedy has done it an amazing three times). Can he do it again? And again? The only thing that can stifle his individual rise is the spread of midfield talent at Melbourne. If Jack Viney is healthy all year in 2018, does Oliver have the same amount of contested touches? Or is the load spread a little more? When playing with Viney in 2018, Oliver’s contested possessions dipped marginally (He was 15.5 contested touches per game WITH Viney, and 16.66 without) but not enough to indicate that his overall game will suffer. It was premature, but during the 2018 season, I posted a pic of some Melbourne greats. Robbie Flower was there. Garry Lyon popped his head in. Jimmy Stynes made an appearance, and in the corner, was the red head of Clayton Oliver. Many people said he didn’t belong in that pic with some of the Demons’ favourite sons. Well, another couple of seasons like his 2018 effort, and he will more than belong – he’ll be front and centre. Yeah, I’m going back there, and I’m going back there because I’m a tricky fella, and I deliberately left Sam Weideman out of the conversation above. The emergence of Weideman is the other Kenny Rogers moment for the Dees. They’re hopeful the development of Sam Weideman as a second tall option will cover the loss of Hogan. It’s ambitious, and places a lot of pressure on a young bloke with just 20 games to his name. For mine, it’s a sink or swim option. This could be the positional straw that breaks the donkey’s back in 2019. Weideman’s finals series saw him average two goals and 2.33 contested marks per game. Those sort of numbers would be a perfect complement to McDonald over the course of a season, but it’s such a small sample size. Can you really rely on him to produce those performances consistently? He’ll have help, of course – the number one goal-assist man in the competition, Jake Melksham is still going to be hovering around the forward line, and for those who doubt his effectiveness, I ask you to cast your mind back to when Alex Rance thought it was a good idea to play off him, and zone off to help teammates in their battles. ‘Twas a mistake. I also really rate Aaron vandenBerg, who is as hard at it as any player in the game. As a bustling, chaos-creating half forward, he could be a spanner in the works of any well-organised defence. We’ll get to Petracca’s presence in a minute, but the loss of Dean Kent hasn’t really been spoken about much. He only played five games last year, but he is as honest as the day is long. I really rated the way he went about his footy, and think he’ll do well at St Kilda. He was also pretty handy up forward. So, interested to hear from Demon fans about the forward line gamble. McDonald missed five games in 2018, but had been a bit of a warrior in the couple of years prior. The addition of May means he doesn’t have to go back to plug a hole as often…. Damn it, this just might be crazy enough to work! And if it doesn’t, do the Dees know when to walk away, and when to run? … Christian Petracca doesn’t go up a level, when do we start talking about him in terms of what could’ve been? Watching him in the JLT series last season, he looked like he was about to conquer the world. He was polished, strong and finally looked ready to take the next step he’s been threatening to. Of course, he didn’t. If a step was taken, it was more a step to the side than a great leap forward. Splitting time between forward and the midfield, his disposal average increased slightly, and his goal average was slightly down. In essence, he was the same player, playing a little differently. Does that make sense? I’ve been accused of being a little harsh towards Petracca, and maybe there’s some justification to it – I see what he could be; you’d have to be blind not to see how good he could be. I just get frustrated that he isn’t getting there. Maybe 2019 will be the year (he writes, knowing full well he thought the same thing about 2018) he well and truly breaks out. This is year five in the system for Petracca. At 23, he should be starting to move towards his best years, but I am still not sure where he best fits at Melbourne. As a matter of fact, there’s a fair bit I am still not sure about with Petracca. I’m not sure he runs hard enough. I’m not sure he applies enough pressure. I’m not sure he lowers his eyes enough. Just because you can kick the ball a mile doesn’t mean you should. And I’m not sure, at this pace, we’ll get to see his best. Again, at 23 there is a lot of time for him to grow into a role, but when I see someone who seemed so ready to play AFL (and yes, a setback before a player even commences his professional career can derail even the best) not fulfilling their potential, I just get a bit antsy. The football purist in me wants to see him rip a game to shreds. He has the ability. He has the physicality. He just hasn’t done it. Don’t get me wrong – I am barracking for him to do it. I’m just sick of him not doing it. Neville Jetta – How many blokes does this guy have to stifle to start getting some consideration and respect from people in the media other than the bloke riding Bartlett’s coattails on SEN? There was a bit of a push in 2018, but it seems All-Australian selectors aren’t all that interested in small defenders who actually, you know… defend. It’ll be an interesting year for both Nathan Jones and Jordan Lewis. Both had really, REALLY good moments and games in 2018, but slowly, there is some negative moments starting to creep into their games as well. Jones is 31 and Lewis is 32 – they’re not ancient by any stretch, but you’d be a fool to think they’re going to get better. With 23 games to his name in 2018, it would’ve been interesting to see if Bayley Fritsch would’ve had an influence on the Rising Star award had he been just a little younger. He started like a rocket, and cementing a place in a very good Melbourne side was no small achievement. Steven May, huh? Not a bad pick up at all, and his acquisition really releases TMac to be the permanent forward. Overall, pretty shrewd moving by the Dees in the off-season. May will quickly establish himself as the number one back, which means guys like Oscar McDonald and Sam Frost can play more attacking roles on lesser players. Throw in Jetta, Hibberd and the returning Jake Lever… that is a very solid backline on paper. James Harmes made the leap in 2018, becoming one of the best accountable mids in the game, and one of the most annoying opponents to earn a kick on. The Dees had plenty who really established themselves and contributed toward the team success. Neal-Bullen, Fritsch, Spargo, Joel Smith… so, who makes the big leap in 2019? Who provides that organic improvement that all good clubs get when they start contending? Time for Jayden Hunt to become a solid “best-22”player. Six games in 2018 for a man of his talent is a fail. Mitch Hannan showed plenty, and looks like he could raise his game a level relatively easily, and I am a huge wrap for Sam Frost as well. The Dees are poised to give things an almighty shake if they get even remotely the same year from their stars as last season, and a slight improvement from the next generation. The draw – the price of success means you get better acquainted with the teams at the pointy end of the ladder. Richmond, Collingwood, West Coast and Sydney all see the Dees twice, which is a tough ask. They do get St Kilda twice as well, but the Saints may surprise a few people this season. The first six weeks are a real mixed bag. Port, Geelong and Essendon are all great unknowns. The Dees could be 0-3 just as easily as they could be 3-0. Then comes Sydney, St Kilda and Richmond, so winning a few of those games early will be vitally important. What you don’t want to do is put yourself in those 7-12 ladder positions and start having to rely on the form of others to shape your year. Wins over Port and the Cats in the first two weeks set the season up nicely. And where do we see the Dees in 2019? The potential to finish top two is right there for all to see. Great ruckman, excellent on-ballers, and a very solid defence should (yes SHOULD) provide the forwards with enough opportunity, but there is just something I can’t put my finger on about Melbourne. Maybe it was the way they were manhandled by West Coast in the Prelim that’s irking me. Up until a win over the Eagles, we were busy discussing how Melbourne were unable to beat top sides. Remember that? Well, playing a bunch of good teams twice will really test them in that regard. They have the talent to match it with those teams, and they have the ability to win big games – I just want to see them put it all together for a whole season and not have those moments where you question whether they’re contenders, or pretenders. Anywhere from third to eighth is a possibility for the Dees, and I’d be incredibly surprised if they didn’t play in September.